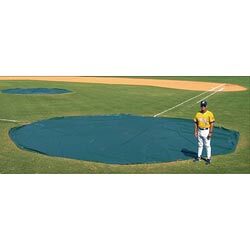 Weighted base covers, designed to cover base areas, Steel chain in edge hem all around keeps wind from getting under cover, stays down even in high winds. Field proven to 65mph. 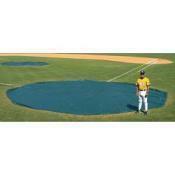 Industrial 18 mil vinyl-polyester fabric with UV and mildew inhibitors. Size: 10' x 10' SQUARE . Standard Color: Forest Green. Custom colors are available, please call for a quotation. Choose Single Piece or 3 Piece set.